Greenisland flowers Ltd is in receipt of an SFA Capital grant from Invest NI for TULIP PROCESSING AND AUTOMATION. This project which is part-financed by the European Regional Development Fund under the Investment for Growth and Jobs Programme 2014-2020 aims to maximise efficiencies and adding value into the production of tulips and other cut flowers. During 2003 in partnership with Greenmount College of Agriculture and Horticulture, we experimented in growing stock as a cut flower, to assess whether we could extend the season of this difficult flower. 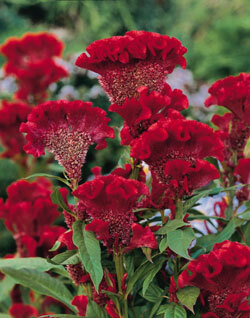 After successful trails, Greenisland Flowers was formed in 2004. In 2004 we won an order from Marks & Spencer’s to fill in their shortages through out the season and also to extend their stock season into late August, by 2005 this extended into late September. After our first year of full commercial production we sat down with M & S and set out a plan of action for 2005. During this meeting we found that there was a great shortage of supply during the month of June, which needed filled. 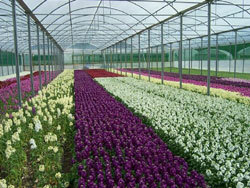 With detailed programming we found that Greenisland Flowers could fill this gap in production for the whole of the UK. 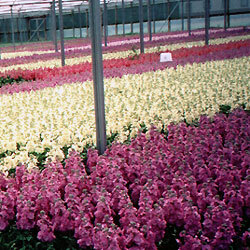 Greenisland Flowers grows in the region of one million stems of stocks each season. And because of the normally cool climate in Northern Ireland during the summer months, we find we can extend the season of stock by up to three months, over our English and Dutch counterparts. In 2006 we built a new state of the art pack-house to enable us to meet our requirements as an expanding commercial cut flower grower and packer.